" The F10 FFM and headgear works great for me. No leaks. Reasonably comfortable. " 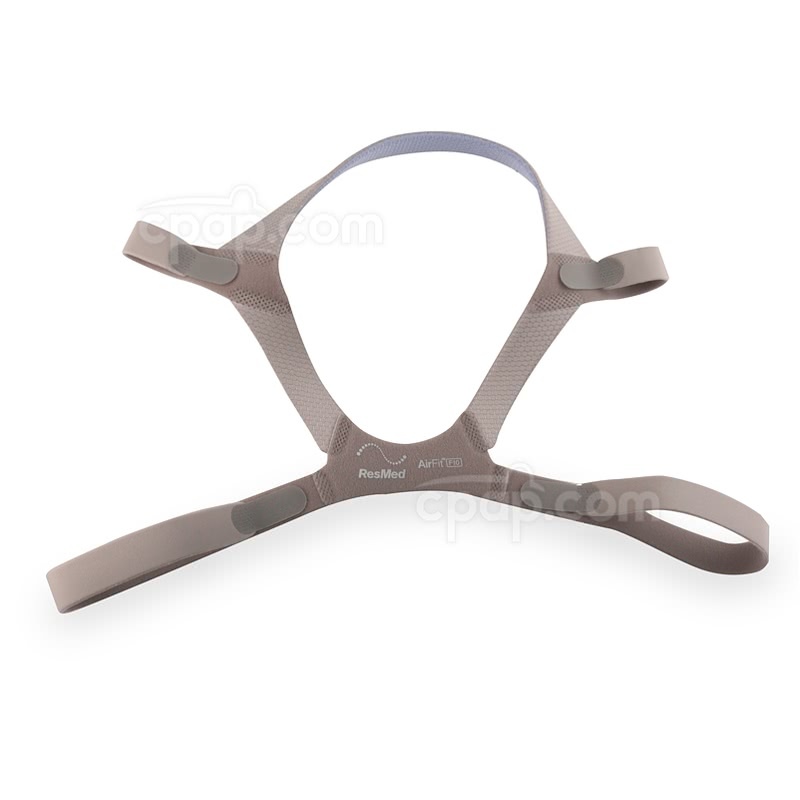 Both the AirFit™ F10 and the AirFit™ F10 For Her come packaged with a headgear labeled as size "Standard". However, the two standard headgear are NOT the same size. AirFit™ F10 comes packaged with and Standard headgear featuring blue accents. 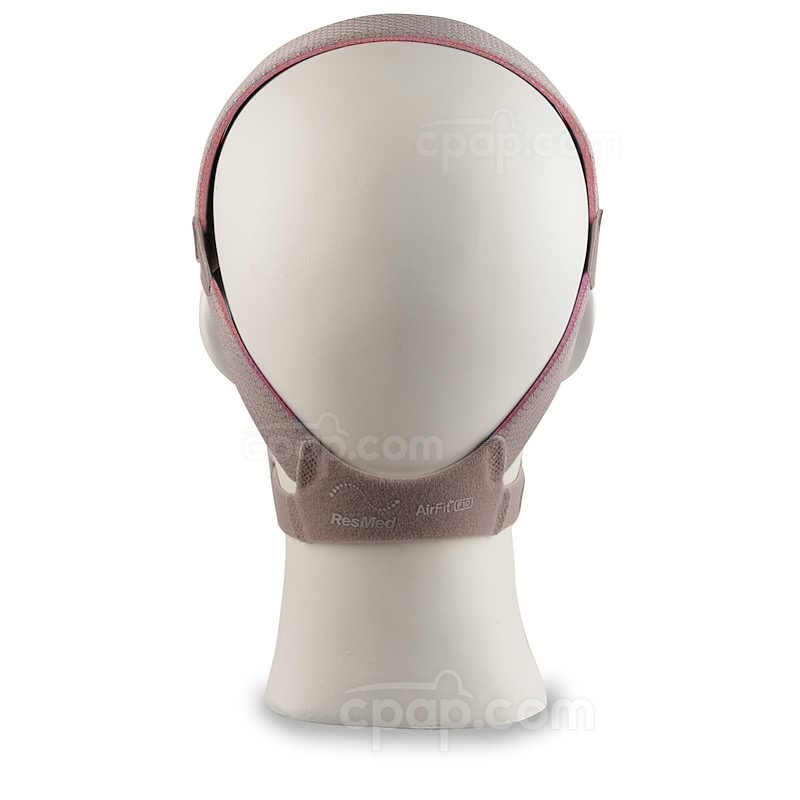 AirFit™ F10 For Her comes packaged with Standard headgear featuring pink accents. 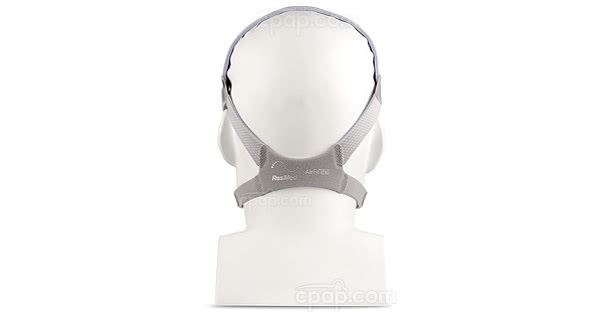 The AirFit F10 headgear is designed with a curve to hug the back of the head and support the mask fit and seal and the headgear does not lay flat. See the Specs Tab of this product page for measurement information. 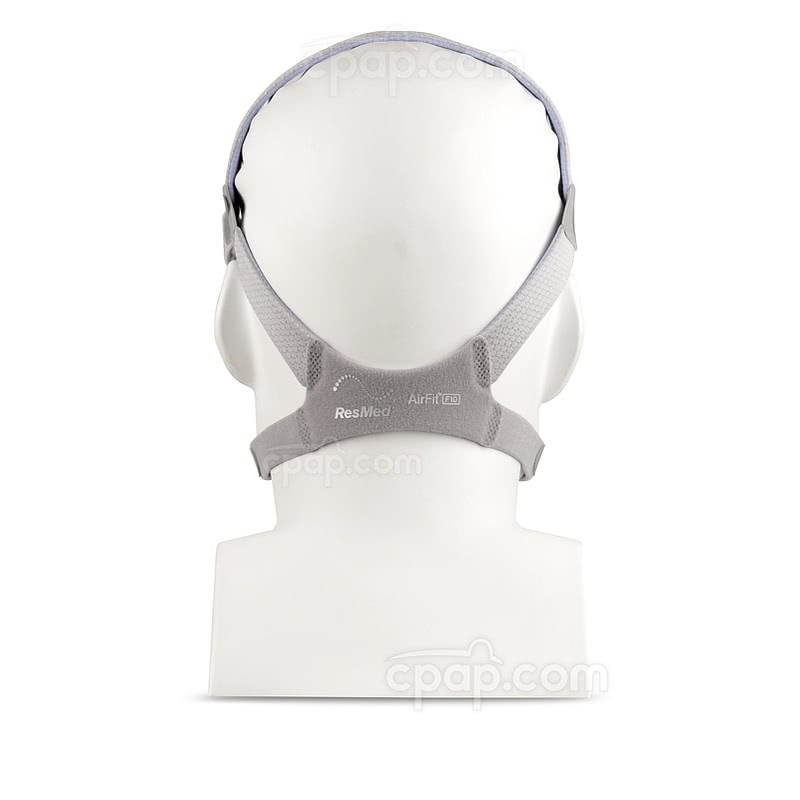 The following measurements of the Headgear for AirFit F10 Full Face Mask are intended to give approximate dimensions of the headgear opening and strap lengths.